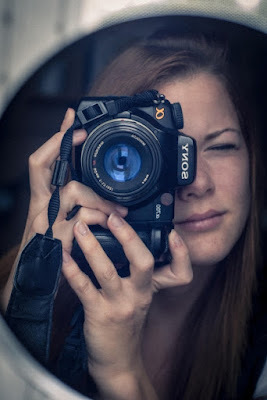 You do not need to be proficient in the other art forms in order to be a great writer, but studying the masters in Music, Landscape and Portrait Painting, and the Camera Lens--can bring the fictional world of your novel or memoir to life. Think of movies, how music sets the tone. With each book I write I listen to compositions that best exemplify the tone and setting for my story. For my British Raj trilogy it was a blast listening to exotic Indian music. For my novels set in Ireland I listened to Irish melodies. Portraiture: Looking at a face in another artistic form can help you find the phrasing you are looking for to convey your characters’ emotion. You may not be able to draw someone’s portrait, but you can study the masters. Take a look at Da Vinci or Michelangelo, Renaissance painters for just a few to study the face, the angle of the head, the way the mouth is held, an eye squint, etc., and how it all portrays emotion. Or take a brief look at modern painters and the use of psychedelic colors to get a deeper grasp on an elusive emotion. A strong visual helped me write the following description from Shadowed in Silk. Landscapes, to convey emotion in a scene: Use another artist's talent to show colors that are only there for a fraction of a moment, or even color that isn’t there in the real world, but convey the emotion you want. Here is one of my favorite descriptions from Captured by Moonlight, although I have to confess this is from my own impressions while riding a train in India. What happens to your scene if you change your mental lens to black and white, or sepia, add sunbeams or starlight? I love playing with my photos on programs such as Picmonkey to get different effects. 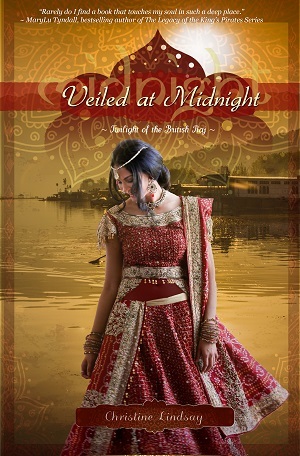 I was more than halfway through writing Veiled at Midnight and sent a photo of a model to my publisher Roseanna White that I thought conveyed the strength and beauty of my character Dassah. Originally I wanted Roseanna to change the color of the dress to green which epitomized an integral part of my storyline. Rosanna did as I asked, but when I saw the dress in green, it didn’t work for me on an emotional level. I asked Rosanna to change the dress photo back again to crimson, and I re-worked the story of Dassah’s bridal sari to red. This actually turned out so much better because I was reminded that a bridal gown in Asia is red for the color of joy, and secondly the color of crimson reminded me of Christ's sacrifice for all humanity. Seeing your story in different colors and through different camera lens, or hearing it in musical form, can take your story to depths you never even thought of when you started. Your post gave me some great ideas for my own fiction, Christine. Thank you so much for writing it! So glad, MaryAnn. You're writing is such a blessing. · What Makes Language Sing? · Poetic Phrasing—when to use. When not to use. · Settings that have a Temperament. · My Voice—Maybe it's the One I was Born With? Rachel Phifer and Christine Lindsay. Simple theme. Theme images by johnwoodcock. Powered by Blogger.